What is an Anomaly Point of Contact (POC)? 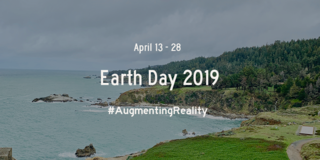 An Anomaly POC is a person whose main responsibility is to work with Niantic to define the area of their city, referred to as the Anomaly Zone, where the event will take place and to identify off-limit areas. Anomaly POCs may also be asked to review and provide feedback on proposed Anomaly rules prior to them being finalized and published. Who is eligible to be an Anomaly POC? Any player whose account is in good standing is eligible to be nominated as an Anomaly POC. What does "good standing" mean? All nominated POCs have to pass an Ingress player background check by NIA OPS. If a POC is rejected by NIA OPS, communities can provide a replacement candidate within one (1) week after being informed about this decision. Players who have received a warning or a ban in the twelve (12) months prior to being nominated are not eligible to be a POC. Note that Niantic reserves the right to deny any nominated POC for any reason. In short, the local community. Our Ingress Vanguards will contact local communities to obtain the names of the players the local community has nominated to serve as POCs. The Ingress Vanguards will pass this information along to the Ingress Global Community Manager (GCM) who will initiate the Ingress player background check with NIA OPS. The GCM or Regional Community Managers (RCM) will provide the result of the background check to the Ingress Vanguards and the nominated player. Do the Ingress Vanguards select the POCs? No. The Ingress Vanguards merely gather information for Niantic to assess. Niantic believes that the Ingress Vanguards have a more direct connection to communities and are able to facilitate gathering the information more efficiently. In some cases, an Ingress Vanguard may belong to a local community hosting an event and have an opinion on who should be nominated from that community. However, they are expressing their opinion as a player member of that community and not as an Ingress Vanguard. How many Anomaly POCs will be selected for a city? Niantic will select no more than two (2) POCs per Faction, a total of four (4) POCs for both. It is advisable to identify backup POCs should any POC have to step down from his or her role for any reason. Can a player be an Anomaly POC multiple times in a row for their city? Yes but with limits. Niantic understands that each faction has a vast support network in place to help players plan and organize an Anomaly in their city. In order to facilitate diversity, establish new relationships and include new players in the Anomaly POC process, we are requiring one of the two POCs to have not been an Anomaly POC for any location in at least the last five years. What is expected from an Anomaly POC? To communicate respectfully and constructively with Niantic and other Anomaly POCs. Work with your cross-faction city Anomaly POCs to provide Niantic with a recommended Playbox that the Anomaly Zone can be made from. The directions for when and how to submit the playbox will be provided to selected Anomaly POCs. While an agreed upon cross-faction Playbox is not required, it is highly recommended. If Anomaly POCs cannot agree to a cross-faction Playbox they may submit Faction specific proposals and Niantic will choose the best one based on the needs of the event. Anomaly POCs will not be provided the Anomaly rules in advance of the Playbox submission. The goal of the playbox is to define the largest and best area to hold the Anomaly event. The Niantic Gamemasters will tailor this proposal to the game rules, attendance, and other inputs that will result in the creation of the published Anomaly Zone. Provide information about inaccessible or off-limit portals so they can be removed from game play. This list is due two weeks prior to the Anomaly. While not mandatory, if Anomaly POCs want to sell Ingress branded merchandise, they will have to agree to the merchandise contract provided by Niantic. 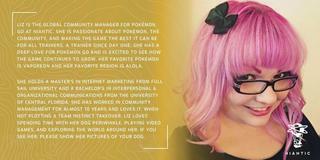 The merchandising contract will be provided by the Niantic Regional Community Managers or Event Leads. Provide feedback on the draft Anomaly rules in the allotted duration and to not publicize or share the draft version of the Anomaly rules to anyone outside of the Anomaly POC group. Provide Niantic a link to your faction registration website. Have your agent name published on the list of Anomaly POCs for the event, so that local agents can contact you. Once a POC has been selected, they will be invited to an event planning Slack chat. It is expected that POCs accept the invite within one week of being invited and actively participate in the chat so you can collaborate with the cross-faction POCs and Niantic event planning staff. Anyone who does not join the Slack chat will be removed from being an Anomaly POC. Niantic will ask for a replacement POC if one has been removed. Provide Niantic with a credible list for Remote Rechargers and Intel Operators who are eligible to receive the Anomaly medals. Provide Niantic with a list of registration/check-in errors for players who did not receive their medal for participating but were eligible and should have. Work with the Global Community Manager to resolve any players missing medals that are eligible for them. 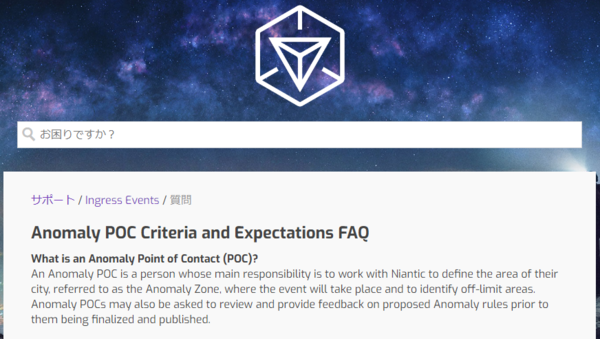 Provide feedback on the various aspects of the Anomaly process via a survey or direct feedback provided to the Niantic event planners or community managers. What is NOT expected from an Anomaly POC? To identify or secure a venue for any official Niantic business. While recommendations are appreciated, Niantic event staff are ultimately responsible for the budget and resource allocation of Ingress Anomalies. We will strongly consider all recommendations but cannot guarantee that those recommendations will be the final decision. 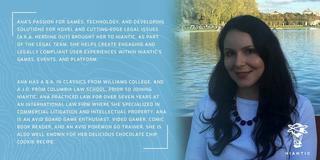 To plan any extra curricular events that will occur at any official Niantic events. If Niantic is hosting an after-party or gathering in your city, we will arrange everything for the event. Recommendations of local artists, businesses, or non-profit organizations, etc. that Niantic can incorporate into the event are appreciated, but ultimately we cannot guarantee that those recommendations will be implemented. To pay for anything related to official Niantic business. Anomaly POCs are not expected to be Anomaly city Mission Day POCs. Mission Days have a separate approval process. To plan a faction after-party. While faction after-parties have become a default aspect of many Anomalies, these are not required. To create merchandise for the event. While Anomaly POCs and their support organizations may choose to create merchandise for the event, this is not mandatory. What is expected from Niantic? To collaborate and communicate with Anomaly POCs important dates, answer questions about the process, and provide feedback on information submitted (playboxes, medals, etc.) in a timely manner. To ensure all official Anomaly Mission Day Missions are created and published on time. To ensure the Anomaly experience is fair and fun to the best of our ability. To resolve issues in a timely manner based on priorities. Treat all POCs with respect and to constructively communicate. Try to provide each Faction space to use for registration and/or merchandise distribution at or near the official Niantic registration location. What is not expected from Niantic? 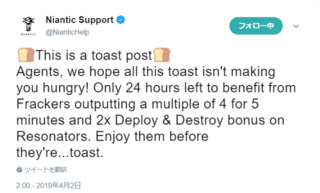 To pay for or host faction specific after-parties. To support or fast track commemorative Anomaly Ingress Mission Banners. If you are creating a special banner, please submit it in time to be reviewed prior to the event and follow the existing Mission creation guidelines. To ship merchandise to individual players if they failed to pick up their orders at no fault of Niantic. To extend the registration timeline outside of its published schedule for agents that want to arrive early or are running late or making the Registration Portal live outside of the officially published registration hours. To support or be responsible for activities that are not officially planned, run, or organized by Niantic or adjust the Niantic official schedule to accommodate these. Niantic will not be able to provide Anomaly registration data to POCs.